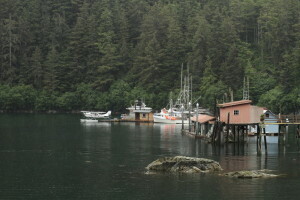 Elfin Cove, Alaska - Alaska's preferred fishing destination, lies just east of Port Althorp on the northwest corner of Chichagof Island. 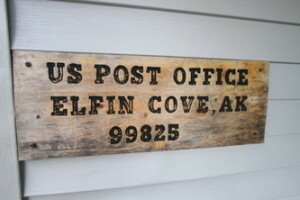 It has had that name (Elfin Cove) since June 1935 when a post office was established there. Prior to that it had been known to fishermen in the area as The Gunk Hole. 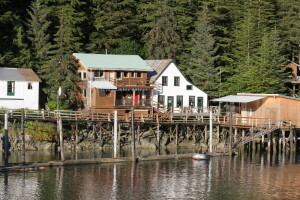 A "gunk hole" is an East Coast fisherman's term for any safe harbor, and Elfin Cove fills that bill. 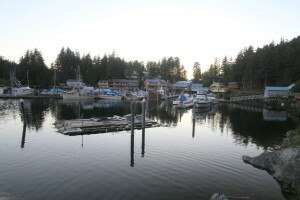 The cove, which is divided in two by an island, forms the outer harbor. Inside is a large basin with a very narrow entrance, so that it is nearly landlocked. The name Gunk Hole probably came from Buck Larry, who had come from the East to fish for cod in the Bering Sea. A much younger man named Ernest Swanson became his shipmate, dory mate and eventual partner. They gave up cod fishing and tried raising spuds and turnips and such at Strawberry Point, but marketing their crops proved too much of a problem. They then established a fox farm on Three Hill Island, not far from Elfin Cove, and did some trolling in the area with a boat named ELFIN. After a time, Ernie hired a splitter and mild cured both kings and cohos at the station. A few trollers who lived on their boats began spending the winters there and Sam Butts put up the first structure ashore, a small dock and storage shed in the inner harbor. Buck Larry was growing old and feeble and Ernie took him to Sailor's Snug Harbor on Staten Island, New York. A young woman named Ruth worked in the office there and on Ernie's second visit a year later, he persuaded her to marry him and return to Alaska. By then a few families had built homes and settled around the inner harbor, and a post office was applied for. Ruth Swanson was willing to be the postmaster, but not of a post office named Gunk Hole. So it was named for Ernie's boat, the ELFIN. The settlement continued to grow, new businesses were opened and for a time there was a school. 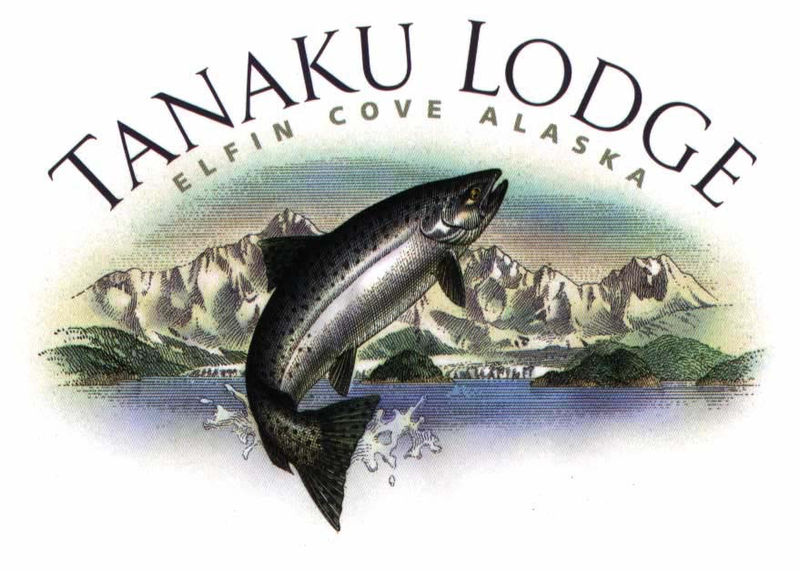 But the commercial troll fishery has long been on the decline due to competition against 'farmed salmon', and Elfin Cove has suffered as a result. In 1997 the population was reported as 54, but the census-takers in 2000 could count only 32 residents.